Love collecting knick-knacks? Looking for some cute gifts? Then we suggest you add Kathir's Gifts Land to your list of places. Located in Purusawakkam’s super busy Tana street, this store is filled with heart-melting, fun goodies. Photo-frames, toys for kids, show pieces, gift cards they have it all. We totally loved their message box gift sets and fragrance diffusers that come in two sizes and start from about INR 250. The photo-frames here are also quite cool. With sizes varying from a passport sized frame to 4 feet tall frames, you can also get customized photos done here for these frames. 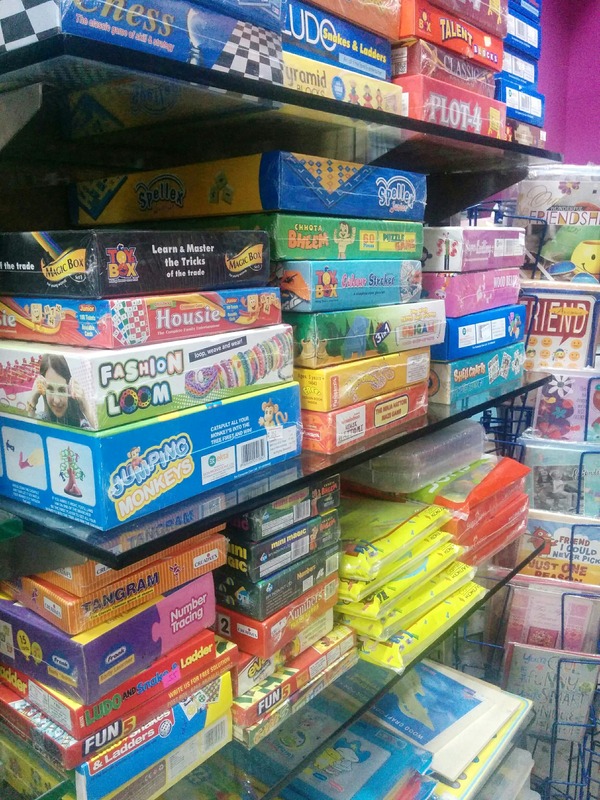 If you’re looking for party-essentials or gifting materials, Kathir's Gifts Land has plenty of those too. Thermocol balls, party hats, satin and printed ribbons, gift wrappers, stickers are what we’re talking about. We also found colourful idols and statues of Ganesha and Buddha in stone and porcelain for INR 350. The wall clocks and water fountains here are also pretty awesome and start from INR 450. It was the tiny things, however, that stole our hearts. Bright card wallets, foldable finger rings with cartoons draw on it, bands, key chains, studs to name a few. The diaries and scrapbooks here are also rad and you can pick them for just INR 200. And If you’re looking to purchase any of the trinkets and knick-knacks in bulk, Kathir’s Gift Land can arrange for that as well. They even do photo-printing on mugs, cushions, T-shirts, and pillows and can deliver them in two days. We’ll probably go there again for some stationery. What about you?